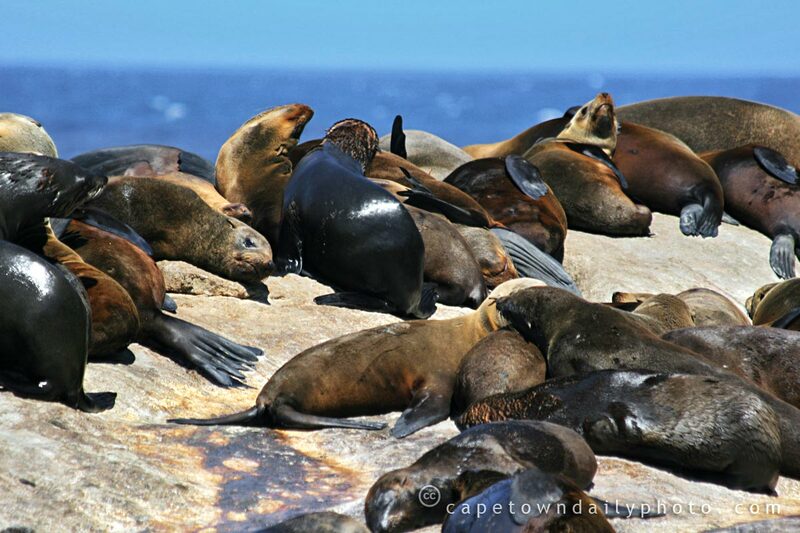 For a long time we've intended to take a boat trip out to Seal Island at Hout Bay. Perhaps a more appropriate name for Seal Island would be Seal Rocks. For the princely sum of 32ZAR (about 3 Euro) Kerry-Anne, Leandre, Adam and I caught one of the boats from Hout Bay's harbour out to the "island". It took about 15 minutes to reach the seals, and then we spent about 10 minutes bobbing around really close to the seal colony. The 45-minute round-trip was cheaper than the ones available at the V&A Waterfront - although the trips from the Waterfront are, in my opinion, prettier and offer far more to see than trips from Hout Bay. Posted in General on Wednesday, 10 December, 2008 by Paul.